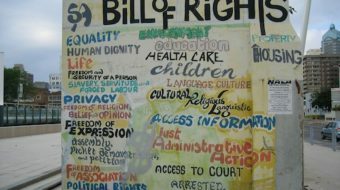 In all the words emitted on the occasion of the passing of Nelson Mandela, one thread questions whether anything significant was accomplished with the end of apartheid. 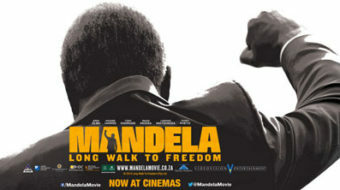 "Mandela: Long Walk to Freedom" is visually stunning, unfolding professionally within a familiar bio-pic template. 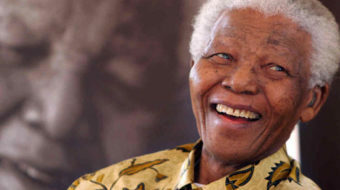 What makes Mandela special? What did Mandela achieve in his life? 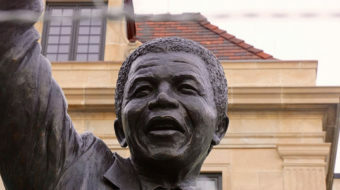 What is the legacy of Mandela' life and struggles for South Africa and the world? Mandela was greeted by a standing ovation. Members of the Congressional Black Caucus erupted in cheers to welcome this great freedom fighter. 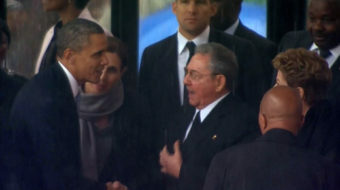 In the spirit of Nelson Mandela, President Obama stopped and shook the hand of Cuban President Raul Castro at the memorial to Mandela in South Africa.